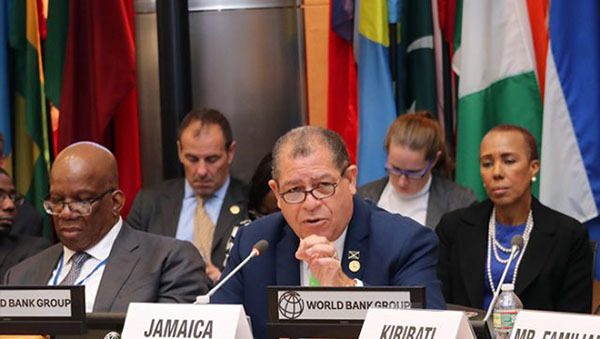 Minister of Finance and the Public Service, Audley Shaw (2nd right), addresses the International Monetary Fund (IMF)/World Bank Small States Forum on Saturday (October 14) at the World Bank’s headquarters in Washington DC. At right is Minister of State in the Ministry of Finance and the Public Service, Faval Williams. Photo credit: Derrick Scott/JIS. KINGSTON, Jamaica, October 18, 2017 (CMC) – Minister of Finance and the Public Service, Audley Shaw, says Jamaica will see an injection of more than US$20 billion of new investments that will help to drive the economy and increase job creation. Addressing an International Monetary Fund (IMF)/World Bank Small States Forum at the headquarters of the World Bank last Saturday (October 14), Minister Shaw noted that this large investment is not a loan from the Bank or the IMF but a direct investment in Jamaica from the private sector and overseas investors. 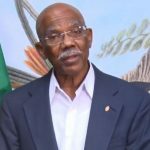 “The government is on a drive to move Jamaica forward by attracting large investments into the country, which is one engine to spur the economy,” he pointed out. He told the participants that the government has targeted a series of infrastructure development projects that will drive the economy towards growth. 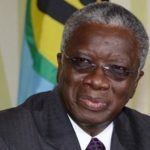 These include reopening of the Alpart alumina plant with an investment of more than US$3 billion to expand the facility, divestment of the country’s main container terminal, construction of the north-south highway, and the redevelopment of downtown Kingston. The Minister pointed out that there is an aggressive program to reduce the country’s debt-to-gross domestic product (GDP) ratio from 116 percent to 108 percent by the end of the fiscal year, and down to 96 percent by year 2020. 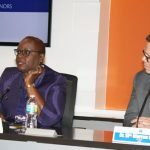 He said that Jamaica intends to work with the World Bank and other multinational agencies to develop the country’s human capacities and capital to grow the economy.